After the racing in Japan left something to be desired, the FIA have stepped in and lengthened the DRS zone at the Korean circuit in an attempt to improve overtaking. The action on track may not have been close recently but the championship couldn't be closer. Sebastian Vettel is within touching distance of Fernando Alonso, and we could see the lead change hands this weekend. Sebastian Vettel dominated the race weekend in Suzuka, and there's nothing to say that the Korean circuit won't also suit the Red Bull car to the same degree. The fight is on at the top of the championship, and there are still battles to be seen between drivers and teams throughout the field as well. We've also got to keep a close eye on Romain Grosjean, who reckoned he was being tentative at the start of the race last weekend but still caused an incident! Support racing for this event includes CJ Hellovision Superrace. The long range weather forecasts show a promising about of sunshine, with Formula One set to experience its second dry weekend in a row. There could be some cloud to deal with on qualifying day, but otherwise we've got clear skies and reasonable temperatures. Last weekend, the FIA tweaked the DRS zone to make it a bit shorter, and I think the lack of overtaking that resulted from this move was very telling. Armed with that knowledge, plus the fact that the racing at the Yeongam circuit last year was also disappointing, the FIA have decided to lengthen the DRS zone this weekend. 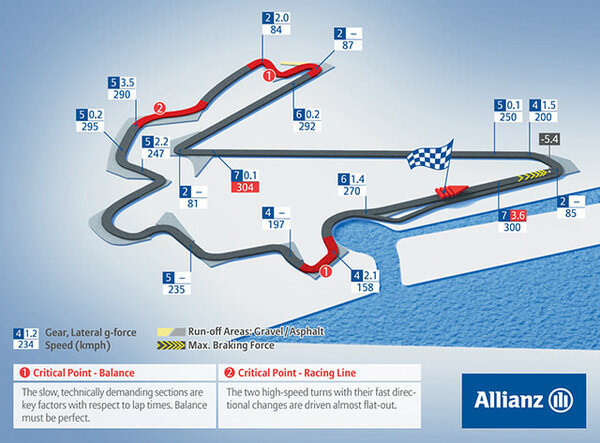 The zone has been extended by 80 metres, with detection just before the first corner, and activation down the massively long straight that follows the second corner. The Korean International Circuit returns for the third outing, with a lot to prove. There have been some tweaks to the track since last year, particularly for safety. Some of the catch fencing has been raised to protect against flying debris, and some of the higher kerbs have been lowered to prevent cars being launched into the air. There is also new paint on the kerbs, and extra artificial grass has been put in, particularly at turn 13 where it has been extended to the end of the run off area. The track itself will take a while to become a useful surface, as there is little racing happening on the tarmac for the rest of the year. Grip will be a considerable issue, as will the abrasive surface of the tarmac, which plays havoc with the tyres. To deal with the tough levels of grip out on track, Pirelli are bringing the two softest compounds to Korea - but that will also make the life of the tyre one of the key elements of the race (like it isn't always!) due to the abrasive surface of the track. Strategy will be supremely important and cars that can be light on their tyres and go long when they have to may be at an advantage. We should see another two-stop race this year, which in theory should be even faster. This year though, there have been some changes to the aerodynamic regulations, which have generally slowed lap times down over the course of the season. 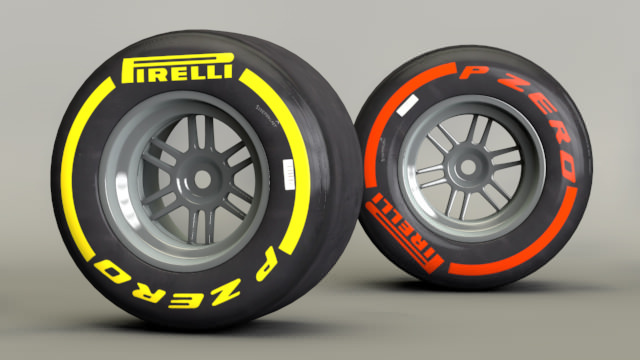 Next post It's only fair - what if F1 did redress?